The first girl that came my way was a Curly Blue Babe which I had gotten in a lottery. Research told me she was a little rare one, and I started to fall in love with her little spunky attitude – she was a bit too precious to me to be the first one that I scrubbed her face off! 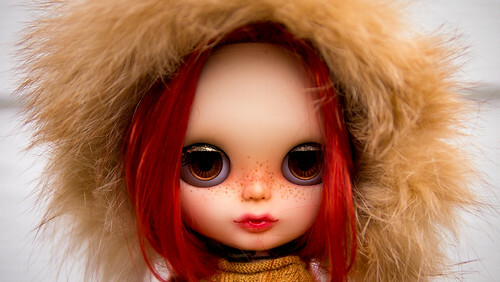 So after some research I ordered a ruby-haired factory Blythe to learn customization skills. She came with a Takara body, a red scalp, and four ridiculous eyecolours – one of which had pink love hearts in it. My mother exclaimed “Oh that’s cute, she’s in love” whereas my partner thought she was possessed. At any rate, I read heaps of tutorials before I completely dismantled her – I also had to “Dolly Shampoo” her hair. 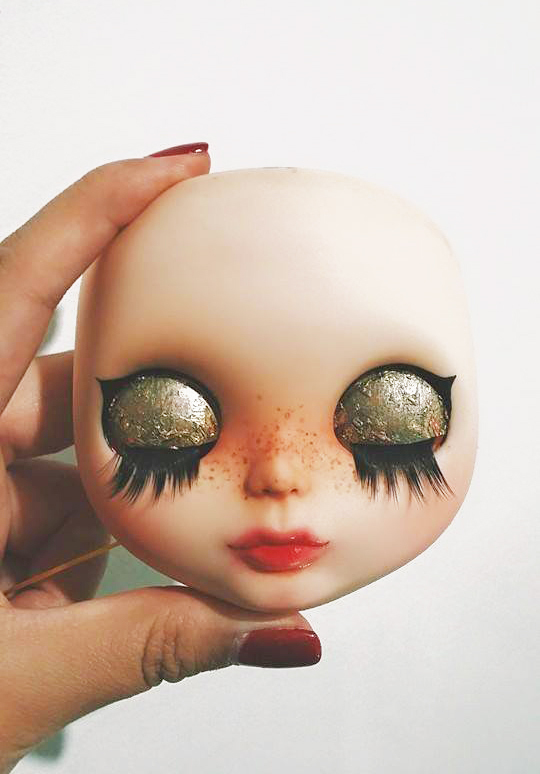 I had had some practice customising Pullips before this and I understood the theory. Sanding was a family territory, and it really did surprise me how big her face plate was in comparision! 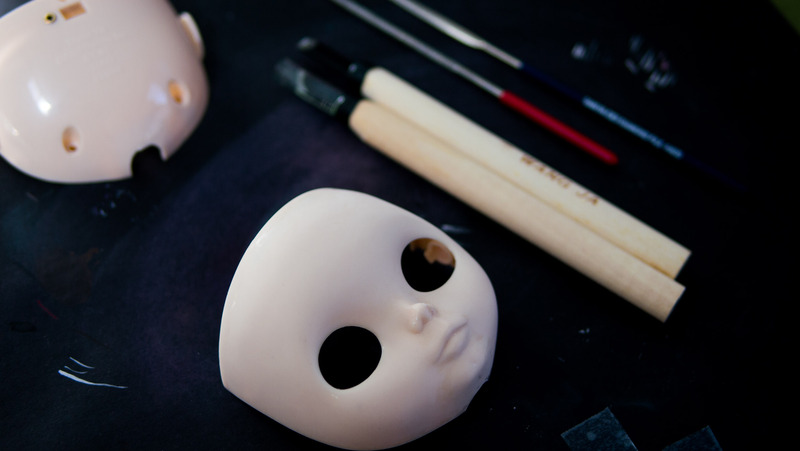 Gumji’s face plate – the extra size made sanding 100% easier than in Pullips! The first thing that I wanted to try was carving her face. 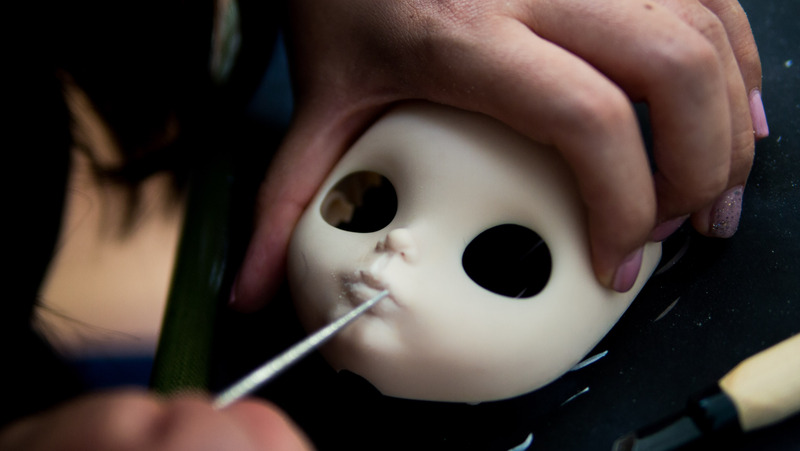 I loved the little cute lips in all my favourite dolls, so I thought, how hard can it be? (I mean I make products, models and stuff for a living… right)? The answer, in short, is very, very hard. As in, damn, that plastic is REALLY HARD? After I finally finished the carving, the next step was to do her face up. I did this twice. Sanded twice! I was so indecisive. More photos of her completed can be found in her Flickr album here. Thank you! I’ve done a few customisations with Pullips but the carving was new to me. I didn’t dare mess up my Curly Blue Babe doll hence why I practiced on a Factory doll. Love the gold leafing idea on the lids. 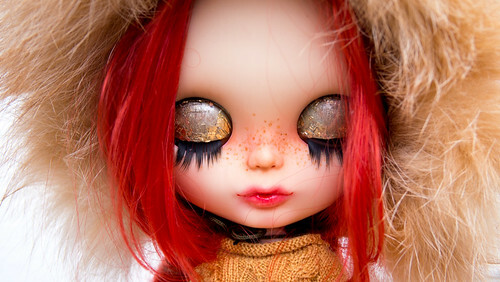 I feel inspired to experiment on my dollies since I too collect Pullip and Blythe dolls.